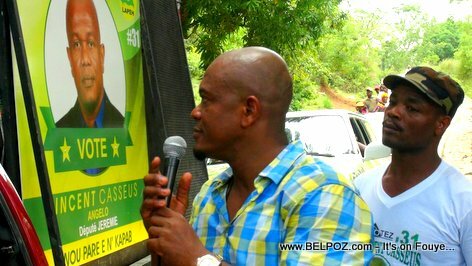 Vincent Casseus, a former candidate for depute and candidate for Senator under the banner of the LAPEH party in Grand'Anse Haiti, extradited to the United States, pleaded guilty to cocaine trafficking, according to the South Florida District Attorney's Office. According to news reports, Casseus will in court on January 30, 2019, for sentencing. According to court documents, "Casseus ran a drug trafficking organization that used mules to import cocaine into the United States, hidden in tomato paste cans."